Uber flying cars to be launched in two cities by 2020, company says. Uber plans to launch flying ride service in Texas and Dubai by 2020. After upending the taxi market with its ride-hailing service, Uber is now aiming to begin its attempt at dominating the skies by 2020. The embattled ride-hailing company announced ambitious plans for an on-demand network of electric aircraft at the Uber Elevate Summit in Dallas. 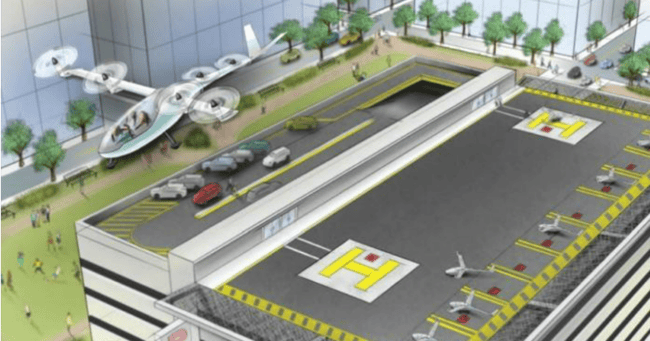 Uber chief product officer Jeff Holden told the summit that urban aviation was a “natural next step for Uber” and it expected to deploy its flying taxis in Dallas-Fort Worth, Texas, and Dubai by 2020. Uber’s flying taxis will be small, electric aircraft that take-off and land vertically (VTOLs), with zero emissions and quiet enough to operate in cities. Uber estimated a trip across the Californian city of San Francisco would take 15 minutes by air, compared with two hours by road. In the long term, Uber expected the cost of taking flying taxis would fall below car ownership. Uber set out its vision for flying cars as an “affordable form of daily transportation for the masses” in a white paper in October 2016. The company is working with Hillwood Properties to make four vertiports — VTOL hubs with multiple take-off and landing pads, and charging infrastructure — in Dallas starting next year, Mr Holden said. The company has also partnered with US electric vehicle charging station maker ChargePoint Inc. Uber is working on developing an exclusive charger for its network. Uber’s announcement came on the heels of Kitty Hawk, a start-up company backed by Google co-founder Larry Page, debuting its ultralight aircraft prototype in a demonstration video on Monday (local time). But the design is less futuristic and ambitious than Uber’s flying car, instead resembling a hybrid of a drone and jet ski that can only be flown in uncongested areas and over fresh water, according to its website. It said the aircraft would go on sale at the end of 2017, when the cost will also be unveiled. For those in Australia hoping to try the flyer, Kitty Hawk does not have plans to ship the aircraft abroad.